Parliament’s role in contributing to Sustainable Development Goals has increasingly come to the forefront as a natural avenue that is uniquely positioned and designed to address contentious issues and relationships, says Dr Jiko Luveni. The Speaker to Parliament was officiating at the ‘Global Day for Action: #Light The Way for Our Future’ forum on Thursday night. The Speaker highlighted Parliament’s legislative role and actions on SDGs through the work of the Standing Committees. “Ensuring public consultation through committees builds confidence in Parliament as an institution as it ensures that those affected by legislation have a chance to have their say,” Dr Luveni added. The Speaker reminded the forum that SDGs can only have a real impact if they were recognised and understood by stakeholders and the general public. She also urged the Government, private sector and CSOs to strengthen their partnership in order to effectively advocate for actions in the implementation of such a far-reaching agenda. 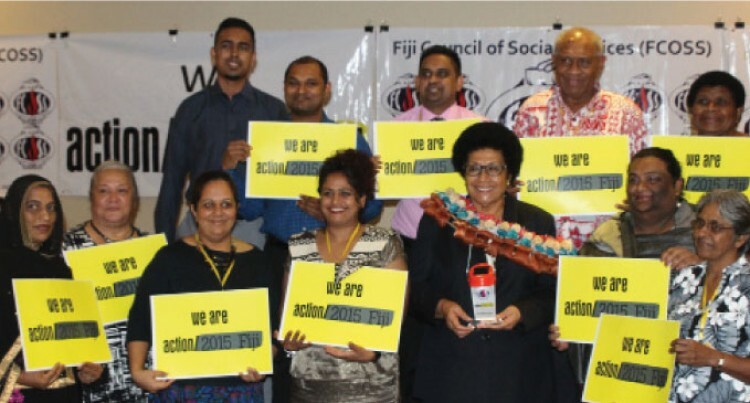 The event was organised by the Fiji Council of Social Services as part of the Beyond 2015 and Action/2015 campaign – a citizens’ movement of more than 200 organisations active in over 150 countries.